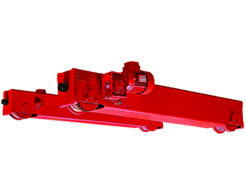 We offer a full line of standard end trucks for capacities from 3 ton to 50 ton. If you haven't seen just how cost effective our end trucks are, then simply login in to our website and view our pricing. 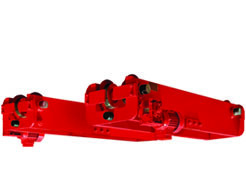 We design and manufacture end trucks for all applications up to 1,000 tons or more. We have the in-house capability to build some of the largest end trucks out there, and there is no limit to what we can do! Most end truck manufacturers offer standard end trucks only, and will not deviate from the norm. With us, it doesn't matter what you need because we can do it. Need help choosing the right end truck?